Eyes are the window to the soul but windows are the eyes to your house. Just like you dress up your own eyes with eyeliner, eye shadow, and mascara to make them pop, your windows need a little extra dressings too. These five tips will help to bring out the natural beauty in your home and create a beautiful focal point for any room. Curtains and drapes are a simple way to touch up your windows. The best part is, curtains are an easy do-it-yourself project. There are many patterns available, from the simple to the complex, including some that don’t require any sewing at all. You will have to choose your fabric though, and this can be a battle of its own. 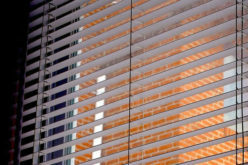 The perfect curtain fabric will be thick enough to be effective at blocking out enough sun. However, you won’t want it to be so heavy that it weighs down the room. You will also want to choose the best pattern for your room. Do you want a color that matches the rest of your décor? Or would you rather have something that can serve as a pop of accent? This is all up to you. A few styles to choose from include the Roman style, pinch pleat, and European pleat. Depending on whether your windows are high up or lower down, room-wide or a tiny lookout, you can determine what works best with your room. 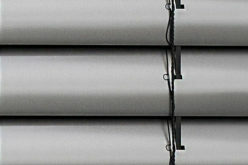 Typically, tinted films are used in office buildings to allow for privacy and to filter sunlight. But they are also great options for your home. Many stores offer residential films for your windows. They aren’t all the boring, dark-tinted ones though. Many are decorative with patterns or pictures on them. The great thing is that the pictures are visible both from the inside and the outside so your window is guaranteed to look great no matter what. Window films are great for many reasons. First, they work well to block some of the sun’s power. Many are created specifically to block ultraviolet rays. Not only that, but films are often quite thick and provide extra insulation on your windows. 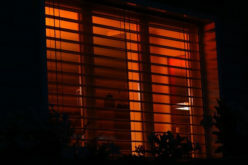 Films also provide privacy so that you can see the outside world but no one can look inside your home. Shades are perfect for east-facing bedrooms that are exposed to the rising sun. Your shades don’t have to be the boring, typical cloth pull down ones though. There are many beautiful, textured shades that you can find at home improvement stores. Rattan and bamboo shades will give your room that earthy feel that you might be looking for. There are also custom shades that you can order with your own image printed directly onto them. The best thing about shades is that they are effective at blocking out most of the sun. However, this is also their downfall. If you want to be able to control how much sun your room is exposed to, shades won’t give you this power. But they are perfect for light sleepers or children’s rooms. 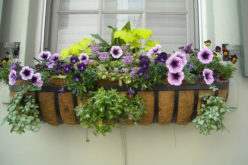 They are also great for dressing up a window without having to use blinds and curtains, which can overwhelm a space. 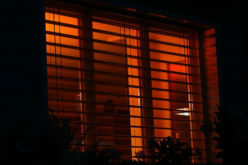 Like shades, shutters are fantastic if you don’t want to overdo your window with curtains and blinds. 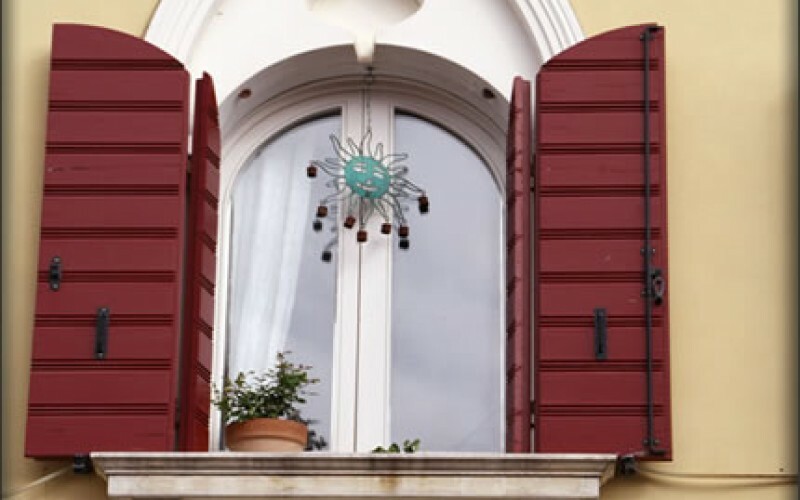 Additionally, you can use shutters either inside to actually block the sun or outside as a decorative addition to your windows. 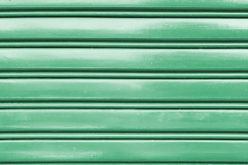 Shutters are fairly easy to install on your own, but they can be difficult to paint. 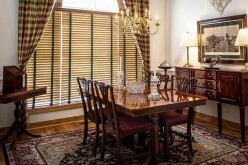 Shutters are very clean cut and will give your windows a complete, polished look. They also are great at blocking out a lot of sun but if you would like a little extra, they can allow for that as well. Shutters are one of the safest choices for families. Unlike blinds and curtains, you don’t have to worry about hazardous chords for your children. Additionally, most shutters are flame retardant. If you want your windows to look better from outside, you can paint the trim around them. This is another easy DIY project that will just take a weekend to complete. A fresh coat of paint will go a long way in making your windows look sharper. You can go with the traditional white or black. But if you’re feeling particularly adventurous, choose an entirely new accent color. You can also paint your interior trim to improve your windows from the inside as well. Harsh sunlight can emphasize flaws in your current paint job so a new coat will help them to pop in a great way. Your windows don’t have to go unnoticed. Transform them into the perfect complement to your room. All it takes is knowing what you want out of your window and then taking the time to execute your project. And whether you’re dressing up your windows in Vancouver or decking out your glass door in Miami, your home will look better from the inside out. Nina Hiatt researches and writes articles to help people find balance and beauty in their personal space through landscape and interior design. In her free time, Nina blogs about many of her interests, which include gardening, technology news, and baking.